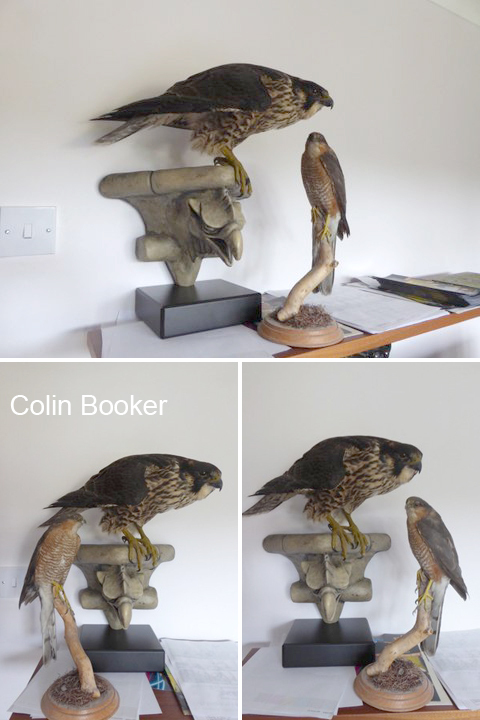 Colin sent in these images of the peregrine specimen alongside a mounted specimen of a male sparrowhawk for size comparison. Our peregrine is a juvenile female of course and in all birds of prey, the female is substantially larger than the male. Male sparrowhawks are a small bird in reality and these photos show just how small he is compared to the peregrine and he would, in fact, make a snack sized meal for the peregrine if ever their paths crossed! 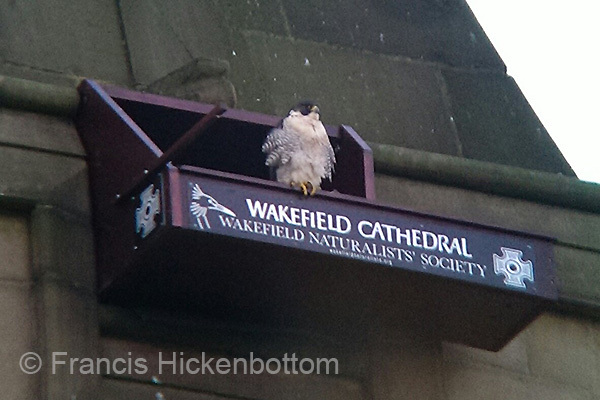 You may recall that one of the three juvenile peregrine falcons raised on the spire of Wakefield Cathedral unfortunately flew into a glass bus stop near Westgate station and killed itself not long after fledging. One of the railway workers saw the bird and had the foresight to pick it up and put it in a freezer and then made calls to various organisations to see about what to do with it. 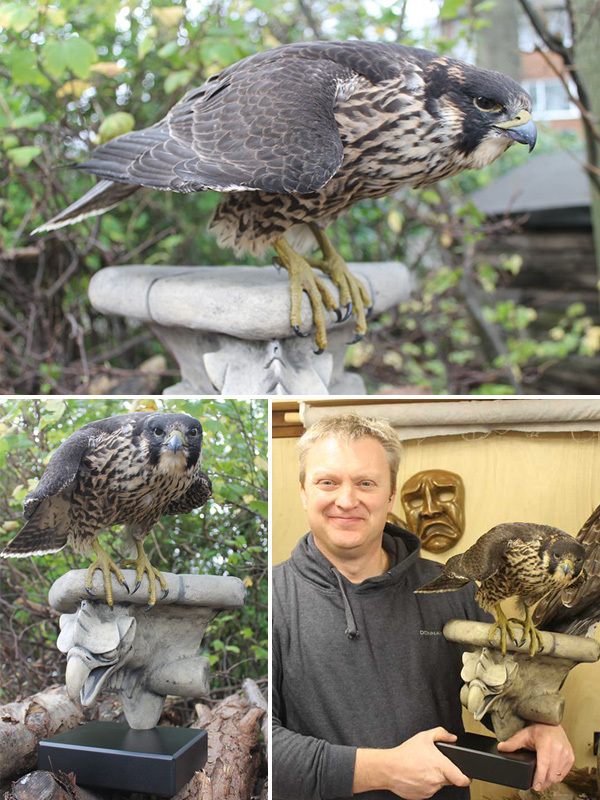 Thankfully it ended up being collected by the Wakefield peregrine watching team and they have paid for the bird to be mounted by award winning taxidermist Carl Church. Carl has made an excellent job of presenting the bird on a gargoyle to represent the nest site from which it came. The bird will now be used for educational purposes and to show people at first hand how beautiful these birds are. There is a great northern diver on the water behind the Swan & Cygnet pub for those who’d like to see this irregular visitor to Wakefield. The male peregrine has been using the new nest box regularly and seems to have given it his seal of approval, This all bodes well for the 2016 season after this year’s amazing breeding success story.